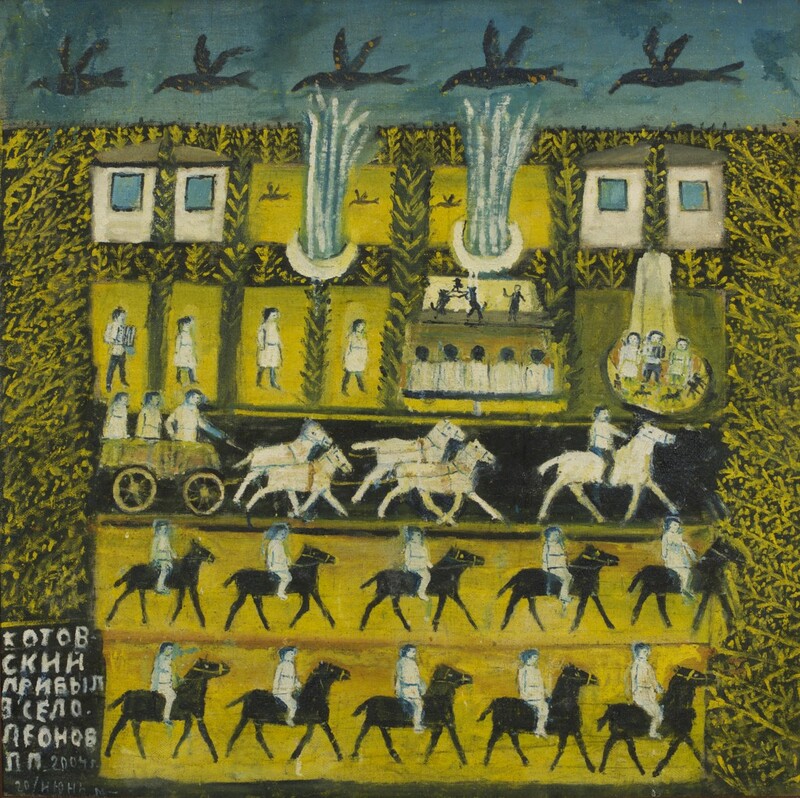 Pavel Leonov is one of the leading representatives of Russian naive art. He usually represents a combination of big and small forms and a separation of the plane of the canvas on squeares where different scenes are taking place. In 1984 the name of Pavel Leonov enteres the World Ecyclopedia of Art. At the end of 1930s he moved to the city for earnings. He changed a big variety of occupations during his life. He worked at the factories, chopped woods, repaired ships, built roads, he was a carpenter, a plasterer, an oven-bird, a tinsmith, a decorator. He lived in Orel, in the Ukraine, Azerbaijan, Georgia, Uzbekistan. He was arrested several times in 1940-1950s. He started painting in 1950s while he was in Kamchatka. In 1960s he took part in the work of Correspondence Public University of Art, where he was taught by Roginskyi. In 1980s he left painting as he was afraid of the arrest of unearned income. From 1990s, when the collectors started to buy his works, the most productive period of his creativity began. He always lived in the upside-down world with its own rules, sky and ground. 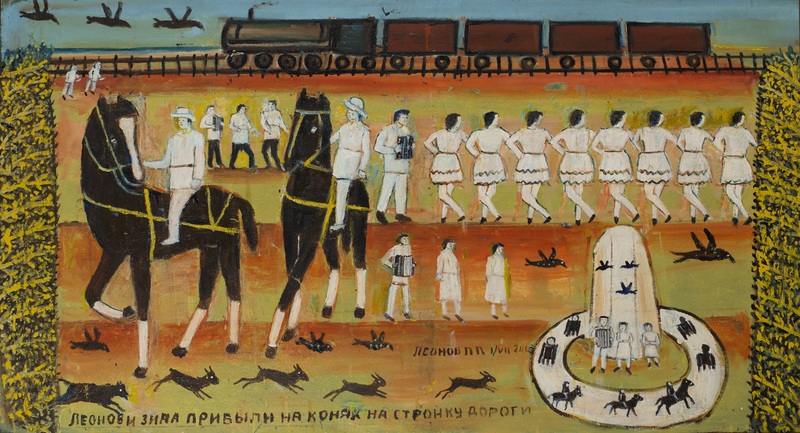 In 1997 he won the Grand Prix on the International exhibition of naive art “INSITA” in Bratislava. In 2000 he won the Grand Prix on the 6th International competition of naive art “Gallerie pro art Kasper” in Switzerland.